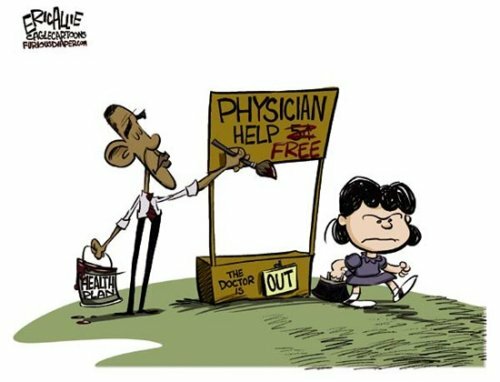 'Washington knows best" is in full swing: President Obama hasn't invited any governors to tomorrow's health-reform summit -- even though states have overseen health insurance for six decades. Indeed, states' experience ought to guide any bid to reform the system -- some, for example, are making stunning progress in keeping down costs. Of course, the president and his allies in Congress are eager to exploit some state-level problems -- such as some recent bad news from California. Health insurer Anthem announced that on March 1, premiums would rise 39 percent, a clear hardship for some Californians. Why? Anthem said the recession caused healthy people to drop coverage, leaving sicker people in the insurance pool; it also blamed a recent change in California law forcing it to sell some kinds of coverage below cost. Whatever the ultimate facts, the state was dealing with it, as it should. California's (elected) insurance commissioner immediately suspended the increase pending an investigation. And the Legislature announced it would revisit a failed bill to require that rate hikes be approved by state regulators. But apparently even the blue state that boasts Hollywood and Silicon Valley can't be trusted to deal with its health-insurance woes. Democrats in Washington grabbed the issue to try to resuscitate ObamaCare. The president cited the Anthem rate hike as a sign of dire troubles across the nation, unless his "health reform" becomes law. Rep. Henry Waxman (D-Calif.) summoned Anthem executives for an inquisition by his House Energy and Commerce Committee, and Sen. Dianne Feinstein (D-Calif.) announced legislation to empower federal regulators to deny rate hikes in states (like California) whose voters have decided against having state regulators do so. The funny thing is, Californians have regulated insurance so competently that they pay a small fraction of what New Yorkers do. For example, an HMO plan costs a 25-year-old California male $264 a month; a New Yorker has to pay $1,228 for a similar policy. Some states, including California, have taken smart steps to lower costs and reduce the number of uninsured. Yet ObamaCare copies the mistakes of the states that have failed -- such as New York and Massachusetts. New York's "reforms" meant that people could literally wait until they had an accident or illness before buying a policy -- changes that more than doubled insurance costs in the state, according to the Empire State Center for New York State Policy. Premiums shot up so far and fast that healthy customers dropped insurance altogether -- with the number of people buying individual policies plummeting from 750,000 in 1994 to 36,000 now. These two premium-boosters -- guaranteed issue/community rating, plus expanding Medicaid -- are central parts of the president's health proposal. So is New York's third huge mistake -- laws forcing every health plan to offer a vast array of services. Over the years, lobbyists for chiropractors, acupuncturists, mental-health professionals, wig makers and others got the Legislature to pass laws that every policy cover their services -- 51 requirements in all. Each such mandate may add just 0.5 percentage points to the price of a plan -- but that totals a 25 percent increase. There will be no freedom to choose the coverage you want. There's a better way. In 2001, New Jersey saw health-plan enrollment dropping -- so the state let insurers offer pared-down plans. Sales boomed. New Jersey, with half the population of New York, now has three times as many privately insured residents, notes health-policy expert Tarren Bragdon. Such state achievements are being ignored by "Washington knows best" lawmakers, who are pressing ahead with a one-size-fits-all health plan that copies what's failed in the states rather than what's succeeded. Worse still, the national plan will be mandatory. To foresee the results, look at Massachusetts -- which made health insurance mandatory in 2006, and now has the highest premiums in the country. That's the model President Obama is trying to force on everyone. This was writtten the day before the Health Care Summit, but it still is important and she is so good and gives us more information. Betsy McCaughey always makes valid points. Her pointing out of the wrongs, costs and abuses of obama's health care plan has awakened a lot of people to it's potential harm. I hope that in the Repub primaries in 2012 a whole lot of conservatives remember that then Gov. Mitt Romney was the signer of the Massachusetts health care bill which has resulted in the highest premiums in America. Romney is no conservative. Pelosi claims that as soon as the bill is signed it will IMMEDIATELY create 400,000 jobs. Thats probably true, they will be the people between you and your doctor and telling your doctor, he's over 65 he hasn't visited the Death Panels yet so he's ineligible to receive any benefits. obama's a communist, everyone of his cabinet are communists, and the Republicans think he's just a liberal, we should be so lucky. Tom, I hope so too, thank you for pointing that out about Romney's health care in Mass. Mark, great point about the 400,000 jobs Pelosi was talking about. I agree too about if he was only a liberal it would be a different level of problems. His being a communist oh man it really makes it even worse.